This song was made 4 or 5 years ago. and It took the recording for half a year. Tommy thought a funny thing in this time. She made a star shape at first, and put the lyrics to match there. That's pretty cool, the way she made the star-shape first. And thank you too Mikanomoide! So instead of 'a killer tune' it could be something like 'a one of kind song' or something equivalent? jazzbeans wrote: And thank you too Mikanomoide! "This song really turns you on" "take my breath away"
Thank you - ALL of you! - for translating! I would never have learned this information about the brilliant green and their latest single if it weren't for your effort! Very nice job, jazzbeans. You are welcome Sneakglove and Anunnunie. about the space shower TV music chart show. I'll explain it if there is the part which you are interested in. At last I got mine today. All three songs are very good. hidebow wrote: At last I got mine today. All three songs are very good. AARRRGGGHHH!!!! I Cannot wait to get mine. Is the music At Light Speed re-recorded or do they use the music for Sono Speed De hidebow? OMG... At light speed is great!! And Spring gate is awesome too!! No problem about any translation, I am just sorry they couldn't be any better! >< I want to hear now!! I'm really interested to see how At Light Speed will sound! Yes, Kisen. Spring Gate is really good. It sounds like a 60's UK acoustic sound to me. You would love this version. on its way to the lonely moon. The starry night knows how I feel. broken down at light speed. It's completely BuriGuri, but that's obviously not bad! and at light speed sounds so great!! can somebody post the complete lyrics or the scan? Why is everything precious to me going away? Ohhh!!!! My copy of the single is traveling right now from Japan to Mexico. Hayaku, hayaku!! The single is now available on jbums (http://community.livejournal.com/jbums/487918.html) for free download for those, like me, who cannot afford the costs of the real thing. Not that I encourage this, but it can be really hard to get import cds when you don't have any money. Just throwin' that one out there. Thanks for the At Light Speed Lyrics!! Can someone maybe post the LIKE YESTERDAY and Spring Gate lyrics, too? I'm feeling very optimistic about a new album after hearing the single. 'Like Yesterday' is nothing new or innovative for Buri-Guri at all, in fact it's down right derivative and borrows heavily from several older songs, but it's classic TBG and a very well-crafted catchy track. I think it outshines any of the 3 new tracks on the singles collection, all of which I thought were disappointing and forgettable. The b-side ain't bad too. It does really makes me feel positive about the new album. Oh the single is so nice, I love having Like Yesterday in high quality! Spring Gate is pretty great I must admit. At Light Speed is really beautiful in English...her English really good too. This is a great single overall. Like Yesterday's at #15 on the Oricon. Not terrible not fabulous. I hope it goes up. winksniper wrote: Thanks for the At Light Speed Lyrics!! In Japanese? If so here's Spring Gate's lyrics. But here's LIKE YESTERDAY's lyrics in Romaji. =\ Although.. I'm pretty sure Orugeru should be Orugooru (オルゴール)? To add: the vocals that appear in the background (in LIKE YESTERDAY) say, "A girl in the moonlight" and then "I'm float in your moonlight" the second time 'round if I am not mistaken. 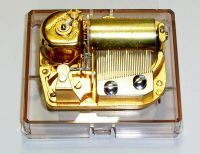 オルゴール　(orgel :Dutch) = A musical box or music box. mikanomoide wrote: オルゴール　(orgel :Dutch) = A musical box or music box. I thought as much! But given the Dutch spelling, I can see how someone would get Orugeru now! Second day after Like Yesterday release and it is ranked still in 15th place. I'm a little bit worried because sales seems to be really low. Let´s wait for the weekly rank to know the total sales for the release week. Hm, I definitely thought it was "mitomeru" as in "Yowasa wo mitomete naiteta" "Realizing (Recognizing) my weakness, I cried." winksniper wrote: Hm, I definitely thought it was "mitomeru" as in "Yowasa wo mitomete naiteta" "Realizing (Recognizing) my weakness, I cried."